By the time the auctioneer’s gavel fell, marking the bankrupt denouement of the Dia Art Foundation’s heroic first decade, the obituaries were already being written. All the elements were in place for what Phoebe Hoban in New York Magazine dubbed “Dallas in SoHo”: an elusive oil-money dynasty in turmoil; a wayward heiress; an archipelago of prime real estate sites, transformed into shrines. There were big egos and even bigger lawsuits, featuring angry titans of the American contemporary art scene, high-flying dreamers suddenly dispossessed by an arts foundation like no other. Launched under several aliases and in near-secrecy in 1974, Dia was the well-funded lovechild of a German art visionary named Heiner Friedrich and Philippa de Menil, a strikingly beautiful spiritual seeker and youngest scion of the Schlumberger oil fortune. De Menil’s largesse had created a kind of refuge from the speculative market in art then taking shape in New York, and a new canon of monumental, spiritually charged epics: a SoHo gallery floor buried, permanently, with black earth; a hollowed-out volcano, transformed into a science-fictional archaeo-astronomical laboratory for perceptual flight; a Promethean bed of nails poking dangerously into the desert sky, awaiting some gargantuan penitent. Asceticism on such a scale is expensive: in 1979 alone, Dia purchased Bob Whitman’s performance space on West 19th Street; an old church in Bridgehampton for the Dan Flavin Art Institute; a castle in Garrison, New York (also for Dan Flavin); and a decommissioned army base in Marfa, Texas, for Donald Judd. The foundation spent some four million dollars on a veritable drone-abbey for La Monte Young, Marian Zazeela, and their teacher Pandit Pran Nath at 6 Harrison Street in TriBeCa. With an annual operating budget of $500,000 and a staff in the dozens, the “Dream House” featured sound and light displays designed to induce altered states of consciousness, living quarters, recording facilities, and a performance space. In the space of a few years, Dia had built itself an instant empire of permanent installations, one-man museums, avant-garde cloisters, and desert redoubts. But it took even less time to come apart. Amid falling share prices and rumors of an investigation of financial improprieties by New York’s attorney general, a group of concerned de Menils had launched a coup in 1984, replacing the original board with a respectable firewall of uptown lawyers and suits, putting much of Dia’s real estate and art holdings on the auction block and sequestering Philippa’s money in a trust. The stage was set for an epic confrontation between the suits and the dreamers… that never quite came to pass. The enigmatic Friedrich quit New York, disappeared into a wandering, art-mad exile; Philippa de Menil, the embattled heiress, had long since ceased to exist. In 1980, the woman she was had become a Sufi dervish named Fariha al-Jerrahi, and when the house of Dia fell, she moved on. Sitting across from her now, amid photographs and Turkish rugs in a rambling old bohemian mansion on a hilltop in Yonkers, I’m almost reluctant to bring up those years. It had taken me many months to persuade her to give an interview, an extended negotiation with her assistant that settled into a rhythm of deferral: yes, Fariha al-Jerrahi was open to the idea of meeting with me, but it would take time. The Sheikha, he said, was in Istanbul this month. The Sheikha was on a retreat with her dervishes. The Sheikha was out of town. I assured him that I wasn’t interested in raking the muck of Dia’s internal politics; he assured me that the Sheikha would never talk about that, in any case. Yet here we were, talking about the evening in February 1985 when one era ended and a new one mysteriously began. It wasn’t the impending sale of the Twomblys and Warhols that she recalled to me, though, nor Judd’s enraged legal wranglings, nor even the first meeting of Dia’s new board, presided over by her conservative sister-in-law. 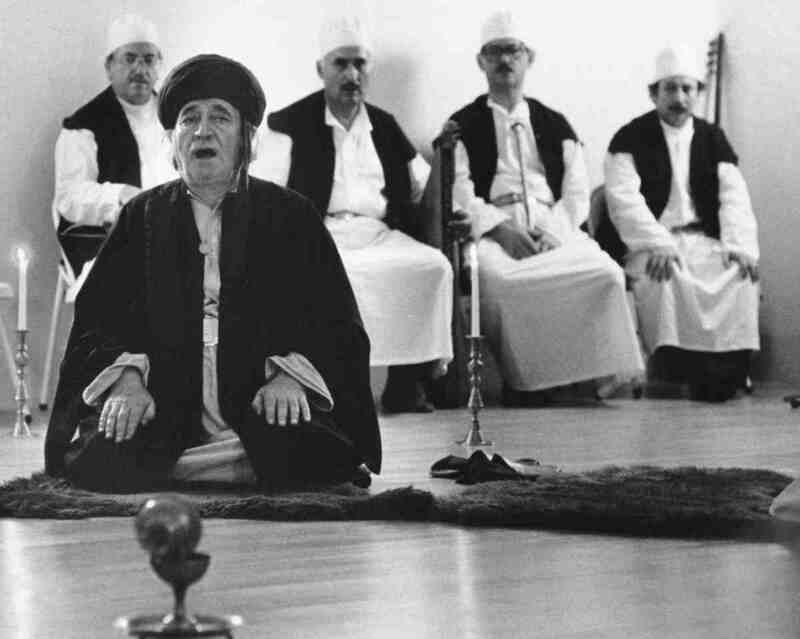 It wasn’t the death of the Dia dream, either; it was the death in Istanbul, half a world away, of Sheikh Muzaffer Ozak, the nineteenth spiritual leader of the Halveti-Jerrahi Sufi order. What transpired that night wasn’t “Dallas in SoHo”; it was the occult lifting of the bridal veil on Sheikh Muzaffer’s soul, its absorption into God’s divine love and mercy — a moment, she said, when even the angels wept. That month also witnessed the quiet shuttering of a most unusual mosque, the Masjid al-Farah. Perhaps the only mosque in the world kitted out with Dan Flavin light installations, the space, a vast converted firehouse on Mercer Street, pushed the metaphysical tendencies of the early Dia Foundation to their logical limit: the Masjid al-Farah was a permanent installation in the heart of lower Manhattan, an avant-garde Sufi lodge for the ages. The story, as Sheikha Fariha tells it, begins with her mother, Dominique de Menil, and a vow she made to her husband, John. The couple had begun collecting art in the 1940s at the insistence of Father Marie-Alain Couturier, a Dominican priest and “radical Christian,” in the Sheikha’s words. Couturier was a vigorous advocate for the place of modern art in the Catholic Church, the force behind a midcentury chapel-building spree in France that included famous commissions for Henri Matisse and Le Corbusier, among others. He was also the force behind the best-known legacy of the de Menils’ arts patronage, a chapel in Houston housing fourteen canvases by Mark Rothko. Stripped of explicit references to any formal religion, the de Menils envisioned the Rothko Chapel — which opened in 1971, a year after its eponymous creator’s suicide — as an ecumenical temple of the spirit, an open space for believers and nonbelievers alike. “Truthfulness, that’s the main quality to seek in anything,” Fariha says of Couturier’s influence on her parents, “whether that’s in a spiritual path, whether that’s in art, in life: truthfulness.” As part of chapel’s inauguration, the de Menils conducted a far-ranging interfaith outreach program, visiting with representatives of the world’s major religions. The meeting proved fortuitous not only for Dia’s cofounder, but for Muzzafer and his order as well: the Halveti-Jerrahi Sufis’ historically close association with the arts and the Ottoman elite had found a New World analogue in this extravagant patron of the most spiritually adventurous fringe of the downtown art scene. 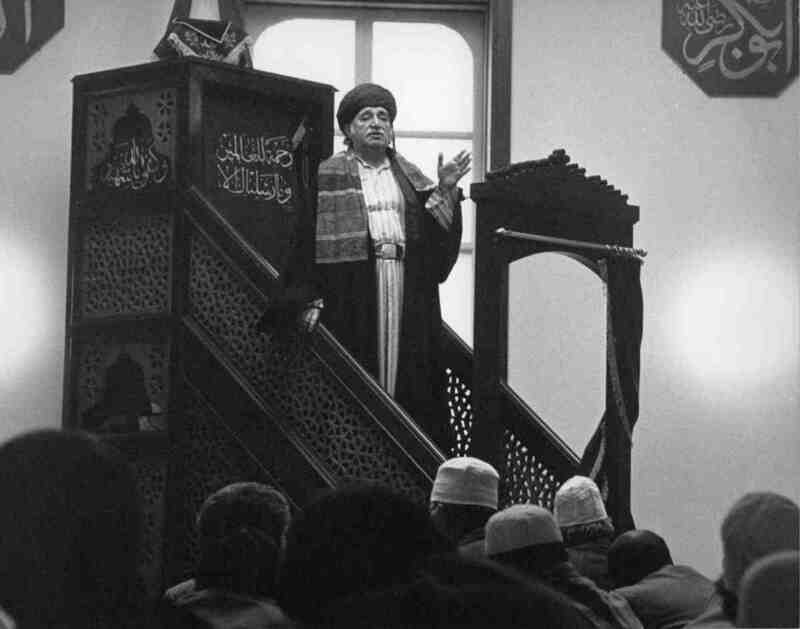 What’s more, Sheikh Muzaffer had had a prophetic dream that the United States was poised at a kind of threshold, and that it was his destiny to bring Islam there, to a city, New York, whose social and religious multiplicity represented the crucible of a new humanity in a “space beyond religions.” It was foreordained: a veritable princess of the underground, in a grand act of renunciation, became a faqir, a pilgrim, and a stranger. And then she died, in a manner of speaking. Every dervish, the Sheikha tells me, must “die before she dies,” shedding the external forms of identity that constitute the “lower self” — a principal source of attachment in a world characterized by impermanence, longing, and loss — and gradually realizing a kind of supreme identity with Allah, the uncreated Creator, the primum mobile, behind and beyond all names and forms. 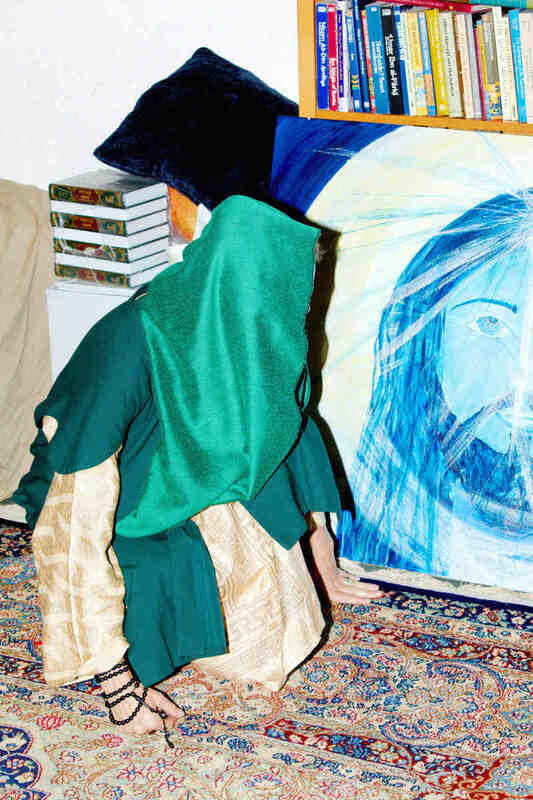 Indeed, the personal journey of each dervish is a kind of extended sacrifice of the lower self, involving ever finer shades of depersonalization, beginning with the “handtaking” ceremony that attaches her to her sheikh and proceeding through adherence to the sunnah of the prophet Mohammed — fasting during Ramadan, for example, and performing the salat or Muslim prayer five times a day — to ever more gnostic forms of selflessness, culminating in the blissful annihilation of the rational, calculating lower self and the complete harmonization of the individual heart with God’s inscrutable will. Perhaps this oft-repeated injunction — “you must die before you die” — helps explain why convincing the Sheikha to grant me an interview was so difficult; she is long past the point of being profiled. 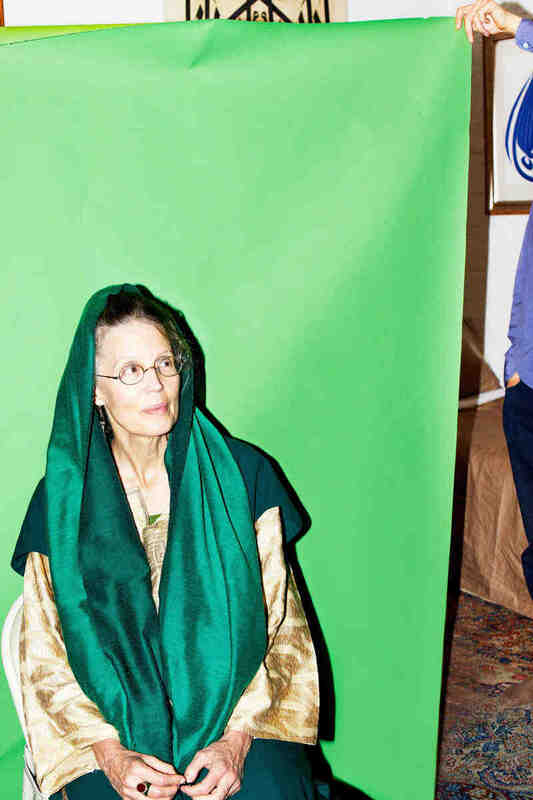 By the time she’d shed her born identity, Fariha and her coconspirator Heiner Friedrich had presided over a far-reaching intervention in the American contemporary art scene, funding and making possible projects of a scale and ambition that the market could never support — and which, in their grappling with outsize questions of spirit, struck some outside observers as pretentious and grandiose. When you consider the way in which these two gestures were intertwined — the removal of the art-market’s constraints and the pursuit of metaphysical truth — it’s no surprise that so much of Dia’s history played out in chapels. Friedrich himself remembers conceiving the idea of Dia in 1957, a nineteen-year-old alone in the sepulchral interior of Padua’s fourteenth-century Scrovegni Chapel. Frescoed by the artist Giotto into a Dantean dream theater of the Christian cosmos, the chapel seems to inhabit its own idiosyncratic temporal order, an apocalyptic present where disparate strands of forever intersect, the circles of hell and the unblinking celestials staring down from among the stars in the ceiling’s azure midnight. Standing there overwhelmed, the pilgrim Friedrich fell into an amour fou for eternities not easily realized, for visions and schemes exalted by their very impossibility, situated outside the ordinary economy of things. The economy of things was an especial concern for Friedrich’s Renaissance forebear Enrico Scrovegni. Scrovegni was heir to the fortune of a man whom his contemporary, the poet Dante, portrayed in The Inferno as the arch-usurer of the age, hung in a noose tied from his money-bag, tortured eternally (right next to the sodomites). According to Dante, usury is a perversion of God’s will because it runs counter to both Nature and Art: God spends, Nature spends, the artist spends, the patron spends. But the usurer hoards. A man, insofar as he calculates, buys, sells, and takes a profit, becomes a slave to things. The chapel in Padua was Scrovegni’s expiation for this sin, a sacrificial gift born of his father’s accursed interest. It was a confession, and an emulation of the divine: a gift so far beyond bounds that a kind of escape velocity was achieved. It was a gesture at once ascetic and grandiose, penitent and self-aggrandizing, austere and opulent. When Heiner Friedrich visited, he saw in the chapel a cosmic marriage of patron, artist, theme, and real estate: he saw Dia. In 1972 Friedrich arrived in Houston, Texas, where he talked one of Dominique de Menil’s assistants, a young curator named Helen Winkler, into letting him spend the night inside the newly completed Rothko Chapel. He emerged the next day, talking excitedly in his heavily accented English, astounding Winkler with his synesthetic understanding of the paintings. Friedrich’s night alone in the chapel not only gave him a glimpse of what John Ruskin’s “fiery cross of truth” might look like on American soil, it also procured his introduction, via Winkler, to the de Menils’ youngest daughter. And with that meeting, Friedrich’s impossible Paduan daydream became, suddenly, inevitable. The Dia Art Foundation was incorporated soon after, led by Friedrich, Philippa de Menil, and Winkler. Dia’s projects — the effable ones, that you might see in a gallery — were few in number, and the ones that de Menil preferred consisted of the sort of work that the speculators and gallery-scene critics tended to regard with a cynicism bordering on contempt. “The Emperor’s New Cat Box” was the headline of Thomas Hess’s venomous New York magazine review of Walter De Maria’s Earth Room, a 1977 installation that exemplified the uncompromising impracticality and austere, almost ascetic, formalism that typified the many of Dia’s artists. Earth Room buried a Dia-funded white-cube gallery at 141 Wooster Street beneath 280,000 pounds of moist Long Island dirt, creating a breathing and humid hothouse, fecund and material, sheeted into epochal layers like a cross-section drawing in a geology textbook. Art historian Julie Sylvester, interviewed in 1996, recalled going to the opening, “thinking there would be a crowd. There was no one but this German guy in a well-cut raincoat whispering to himself, ‘I zink we must make dis permanent.’ Dia purchased a new, bigger gallery for Friedrich, designed by the architect Richard Gluckman, and Earth Room became an exhibition in perpetuity. 1977 was also the year that De Maria completed Lightning Field, perhaps the most iconic Dia project, a precisely gridded array of four hundred stainless steel rods, poking at the New Mexico sky from a rectangle of land measuring a mile on one side, a kilometer on the other. Lightning Field takes the faqir’s spiny bed into the flat plains of the western high desert and scales it exponentially upward, reimagining the artwork not as an object of detached contemplation but as a site of pilgrimage. (Complete with an elaborate and sometimes cryptic set of rules — a code of conduct limits the number of visitors to six at a time, all of whom are required to spend the night in a simple cabin on the property, eating only vegetarian meals and maintaining an atmosphere of decorum.) The air above its colossal bed of nails calls forth concentrated pulses of cosmic energy, thunderbolts, the laughter of the gods. In its layout, the clean modernity of the kilometer collides with the storied, irrational mile, the grounded Cartesian subject with the blinding natural disaster of an infinite, immanent object, channeled and summoned like a monster from the other side of time. De Maria turns the desert wastes into a theater where such collisions are conjured, where the I, stripped down to the sensory bone, dies a kind of death. The Sheikha is the first to admit that her time at Dia prepared the way for Sheikh Muzaffer’s American mission and her subsequent retreat from the world of contemporary art. But a broader cultural shift was under way, as well, exemplified by the rising New Age movement, the emergence of so-called World Music pioneered by Brian Eno and Jon Hassel, and the growing acceptance of non-western religious traditions in academia and popular culture. Primed by earnest comparative religion programs in the universities, by anthologies of Hindu and Buddhist “scripture,” and by Book of the Dead–inspired acid trips — even, finally, by the spread of yoga — many of the baby boomers in New York’s downtown loft scene fetishized “the East,” a fuzzy geographical abstraction inherited from earlier generations, as the antithesis of the materialist, technological West. But by 1978, the year Edward Said called attention to the peculiarly self-serving history behind this way of describing the world in his book Orientalism, the East was a geographical abstraction thickly, impressively peopled with self-appointed spokesmen, wanderers, and expats — men like Muzaffer, or like Pandit Pran Nath, whose Dia-funded concerts merged trance-inducing drone electronics with virtuosic, albeit idiosyncratic, Hindustani vocal performance. It was all part of a plan, the Sheikha says, the mystical preparation for the advent of a dervish America. 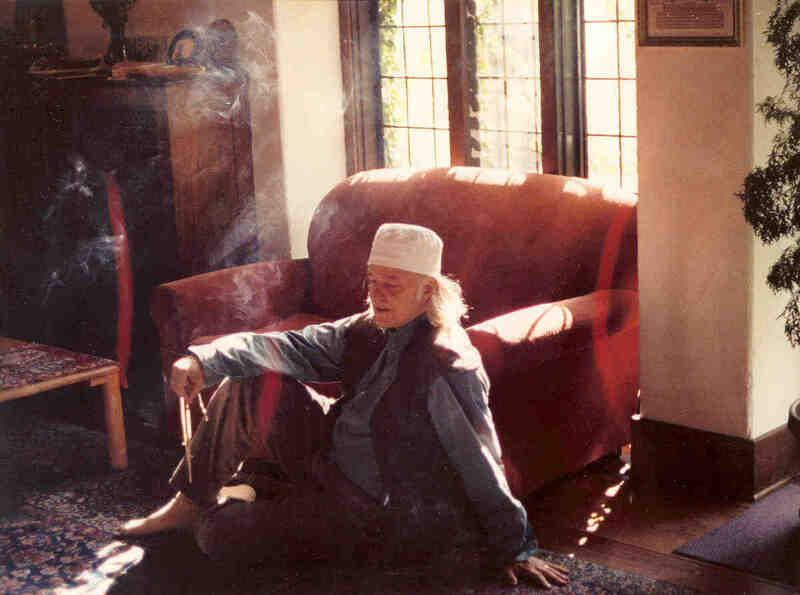 No one embodied all of these currents better than Lex Hixon, an American-born one-time radio-show host and comparative religion scholar who became the spiritual head of New York’s dervish community after Sheikh Muzaffer’s death in 1985. 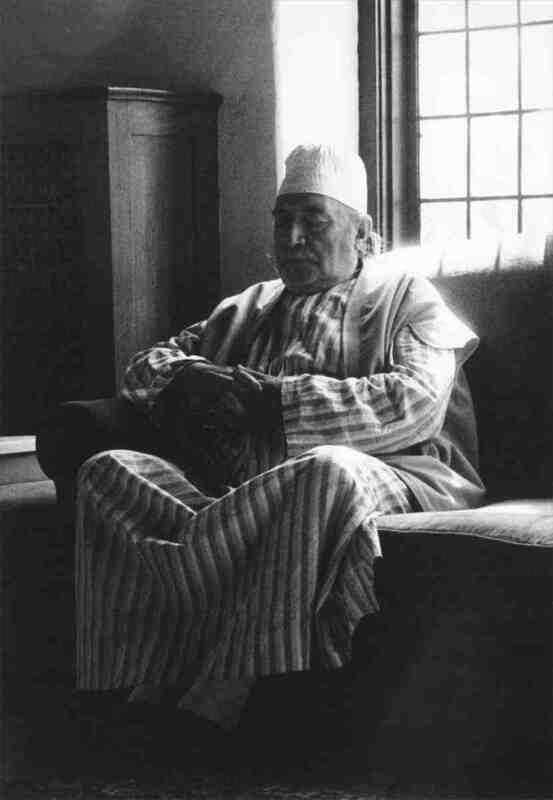 As Sheikh Nur al-Jerrahi, Hixon forged a uniquely and explicitly American adaptation of Muzaffer’s traditional Ottoman-style Sufism, informed by his studies and his previous spiritual adventures in Tantric Hinduism (especially his devotion to the goddess Kali). By the end of his life, Hixon had also been initiated in some form or other into Tibetan Buddhism, Eastern Orthodox Christianity, and Soto Zen, and he continued to publish translations, scholastic commentaries, and mystical and devotional texts for all of the above after becoming a dervish. 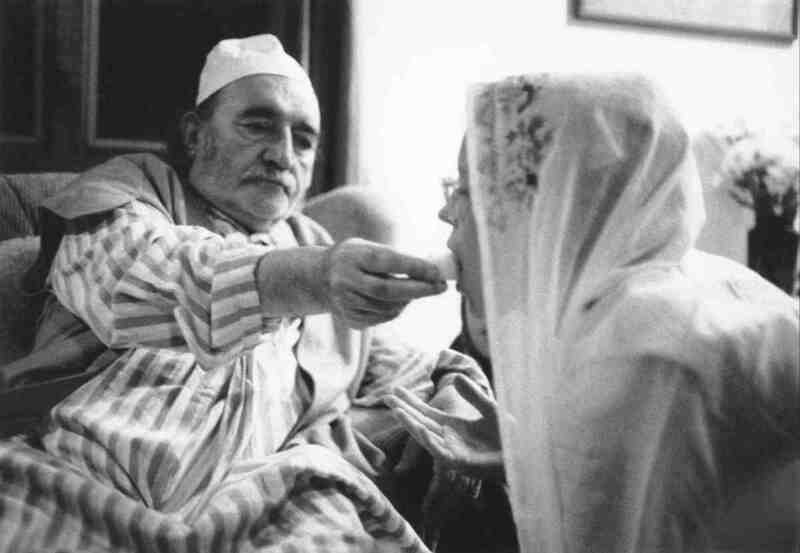 Fariha felt that Hixon’s succession as leader of the downtown Sufis was the realization of a grand cosmic plan — Sheikh Muzaffer’s dream — for a new Islam, freed from the interpretations of the black-robed “doctors of the faith” and the repressive accretions that had come to obscure its radiant essence in so many parts of the traditional Muslim world. This Islam, promulgated by what they now called the Nur Ashki Jerrahi order, was a mystical phoenix on the rise in Lower Manhattan. It is difficult to say with any certainty which of his many religious affiliations Hixon identified with most closely; to the Nur Ashki Jerrahis he will always remain Sheikh Nur al-Anwar al-Jerrahi, the light of lights, and the Pir of the New Humanity. 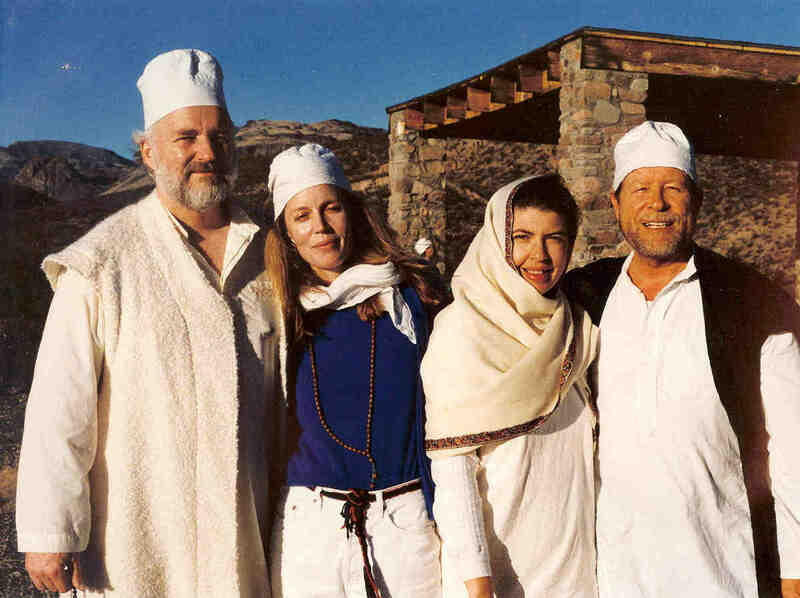 Of all the charismatic religious teachers Hixon had interviewed during his thirteen-year run as the host of a New Age radio show called In the Spirit — a an illustrious group that included the Dalai Lama and Mother Teresa, among many others — it was Sheikh Muzaffer Ozak who turned him from interviewer into lifelong devotee. 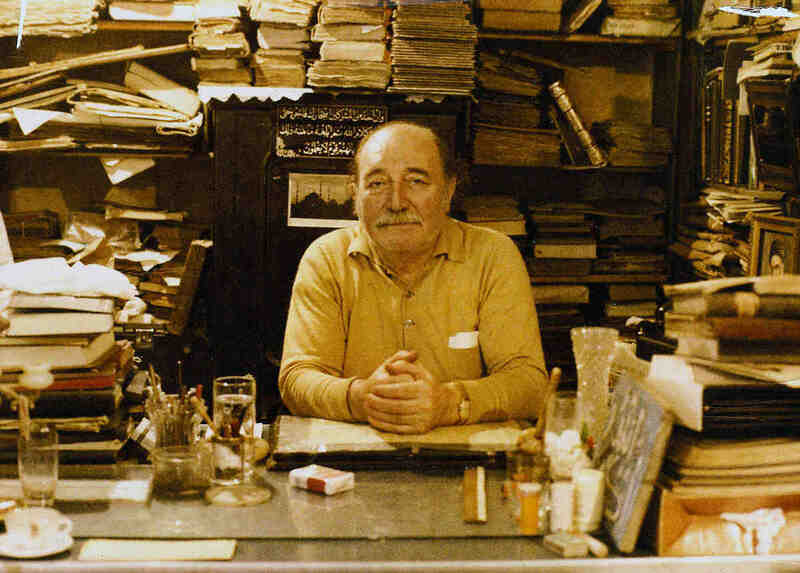 In 1979, Hixon went to Istanbul and spent the month of Ramadan with Muzaffer and his dervishes in the Bayazit mosque, listening to the recitation of the Qur’an. Sitting there by his sheikh’s side, Hixon received the first of his own prophetic dervish-dreams, a vision of a cosmic Qur’an written in radiant, golden light, chanting itself in an emerald mosque beyond the highest paradise. The vision was the sign of what was to come: his initiation as a Sufi, and his transformation, in 1980, into Sheikh Nur. “It was like a Shams and Mevlana meeting,” Sheikha Fariha told me, referencing the Sufi poet better known as Rumi and his beloved companion Shams. “And just as a man and woman coming together can produce a child, two mystics coming together can produce a whole new civilization, a spiritual civilization,” she said. In Nur and his visions, the Sheikha had discovered an avenue for transcendence more powerful than Lightning Field, and her investment in the arts, and in Dia, began to wane. If Fariha’s stories — and those that attend the early years of Dia, in general — all seem to have the air of myth, it’s no accident: on the pilgrim’s road, every encounter is portentous, every mishap a blessing in disguise. The vicissitudes that beset and transform us, seemingly at random, organize themselves into webs fraught with meaning. Indeed the figure of the sacred wanderer is an important one for the Nur Ashki Jerrahis, for whom life on Earth comprises a nested, interrelated set of pilgrimages: an inner journey that leads from head to heart; more conventional travels to Istanbul and Konye, as well as the Hajj; and finally, peregrinations around an America remapped according to an idiosyncratic sacred geography, with New York City at its center — the esoteric setting for the advent of what the Sheikha calls “the New Humanity.” In this sense, Nur Ashki Jerrahi theology is continuous with the westering impulse that runs through so many American mythologies. But seen from another angle, the order’s adaptation of Turkish-style Sufi practice to its American context — the translations of the tariqat’s sacred texts, the relaxation of the formal etiquette that typifies interactions between sheikh and dervish, the explicit feminization of the order, both in terms of its hierarchy and its conception of the Creator — is typical of the way that Sufi Islam has spread for centuries. Whether in the jungle wilds of Mughal India’s Bengal frontier, the marabouts’ desert fortresses in Western Sahara, or indeed in the Ottoman dervish lodges once common throughout the Balkans, successful Sufi teachers have always shown a genius for adapting to local linguistic, religious, and cultural contexts. Sufism — or Sufisms — tend to unsettle naive notions of religious identity, creating compelling hybrid forms of spiritual practice at once deeply Islamic and profoundly subversive of censorious desert traditions. In the brief annals of the Nur Ashki Jerrahi order, few stories are as exemplary as the tale of Sheikh Nur’s pilgrimage to another pivotal node in the sacred map of the Americas — to Tepeyac in Central Mexico, seeking permission from none other than the Virgin of Guadalupe to bring his Sufi order to that country. According to Sheikha Amina al-Jerrahi — leader of the now-thriving Nur Ashki Jerrahi community in Mexico City — Sheikh Nur “felt guided to go to Mexico” in 1987. An ordinary religious leader may well have started his mission abroad with a visit to the municipal authorities, or perhaps sought out communities of Muslim immigrants who might be thought to be most receptive to his teachings. Sheikh Nur, as it happens, sought out a group of the indigenous circle-dancing concheros — a troupe of ritual dancers who trace their ancestry to pre-Columbian mystics — to serve as his companions, along with Sheikha Amina and Sheikha Fariha. Nur also brought along a holy relic — a hair from the beard of the prophet Mohammed. “The first thing that he did was to go to the Virgin and ask the Virgin for permission to found the tariqat, to open the order there,” Sheikha Amina said. But Sheikh Nur was not simply interested in the marriage of Christian and Muslim conceptions of Mary: he was drawn, too, to the mestizo character of the Virgin’s shrine at Tepeyac, where pre-Christian iconography and ritual practice survive to this day, adorned with the icon’s Catholic trappings. 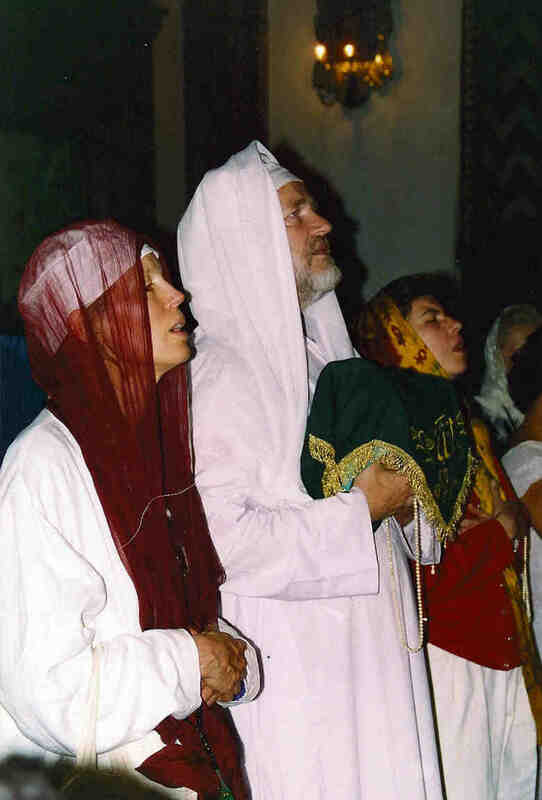 For Sheikh Nur, the ardent student of Hindu divinity, the Virgin of Guadalupe must have seemed like an American Devi, a super-goddess accommodating the holy continent’s diverse sources of sacred power in the folds of her raiment: the indigenous shaman’s dances, the Sufi prophet’s dreams, and the Catholic hymns of the true believer. She grants wishes to grandmothers and children, blazes with the mystical fire of love. She reveals esoteric truths. In Mexico, she is the matrix for a sense of belonging that supersedes the affective bonds of caste, color, and creed. Little wonder, then, that Sheikh Nur named the home of the order in Mexico City Mezquita Maria de la Luz — Mosque of the Luminous Mary. 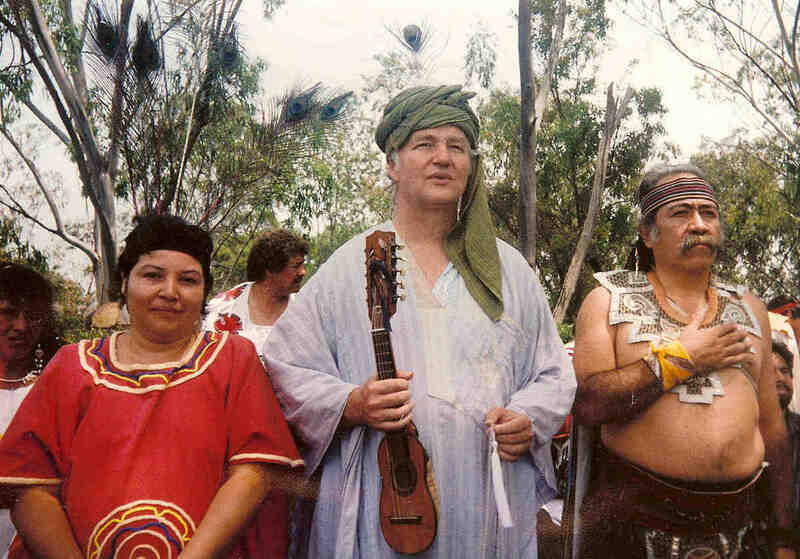 In Mexico, Nur attracted new followers by holding dhikr ceremonies, by interpreting his disciples’ dreams — among the Sheikh’s titles is “dream-key to the dream-lock” — and by composing an extraordinary set of Sufi hymns in Spanish (a language he did not know) by sitting down with a set of vocabulary words and engaging in a kind of divinely inspired automatic writing. “Mexico was Nur’s Medina,” Sheikha Fariha tells me over tea in her home, high above Yonkers, “just as this house was Sheikh Muzaffer’s.” She laughs. “New York was Mecca, for both of them.” Nowhere was the city’s centrality to the order more spectacularly evident than in the original home of the Masjid al-Farah at 155 Mercer Street in SoHo, a cathedral-size space that split the difference between what was already becoming known as “The Dia Look” — spare and modern — and the traditional interiors of Istanbul’s magnificent mosques. The purchase itself was controversial: the building’s new owners were contractually obligated to use the space as a home for modern dance performance, a restriction inserted by the local community board to encourage famed choreographers Alwin Nikolais and Murray Louis to take possession of the property. But the Dia foundation outbid them. 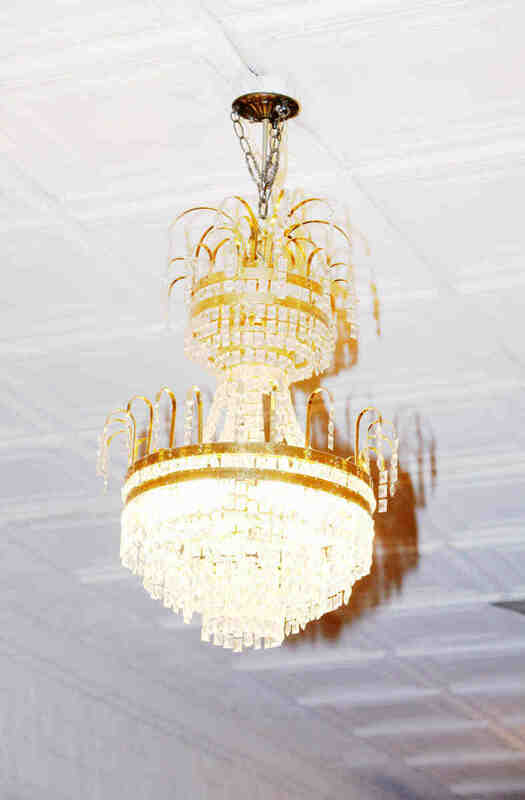 Neighbors complained that the building, despite its Dan Flavin light installations and its auditorium, seemed to play host to a single style of dance, characterized by circling, planetary orbits — one whose modernity was by no means a settled matter. The Masjid al-Farah was a building whose use finally, and perhaps fatally, blurred the already fuzzy line between the sacred and the secular in Dia’s reenchanted alt-modernity. 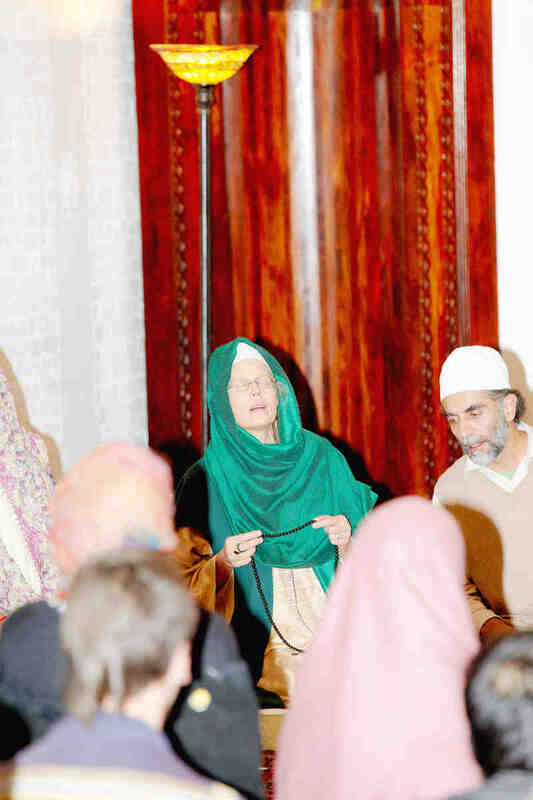 When the new Dia board assembled in 1985, the mosque was closed, and the fledgling Nur Ashki Jerrahi dervish order, led by Sheikh Nur, found its present home on West Broadway. Sometime around then, they started calling the space the Dergah al-Farah. Rauf left the Dergah al-Farah a year ago. Perhaps navigating the tiny space was too unwieldy for the busy imam, but for Sheikh Nur it was a “jewel box.” It sits like a heart, hidden away amid a city that Fariha sees as the very model for peaceful coexistence, a Noah’s ark for a world poised at the brink of catastrophe. “Look at all the religious teachers that have come here,” she says. 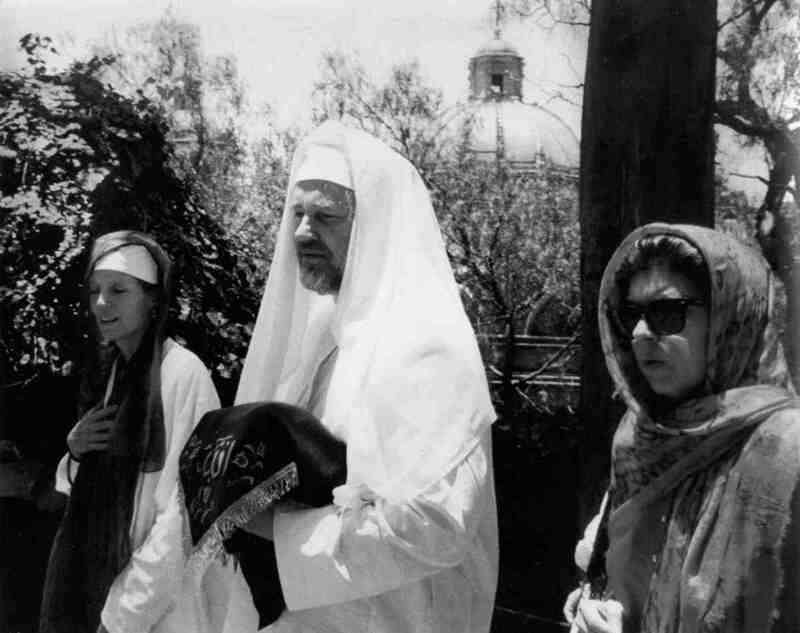 When Sheikh Muzaffer first visited, he led a group of dervishes in Muslim prayer at the World Trade Center. Sheikh Nur liked to say that the Twin Towers were Muzaffer’s minarets, while the Empire State Building— where the former Lex Hixon had broadcast his radio interview with the Turkish mystic — was his minbar, or pulpit. For a Nur Ashki Jerrahi dervish, the whole world is a prayer carpet; but New York is particularly sacred. When I raise the question of 9/11 and “ground zero,” Fariha becomes passionate. She finds it especially appalling that commercial spaces — rental properties and real estate — are being built at the site. 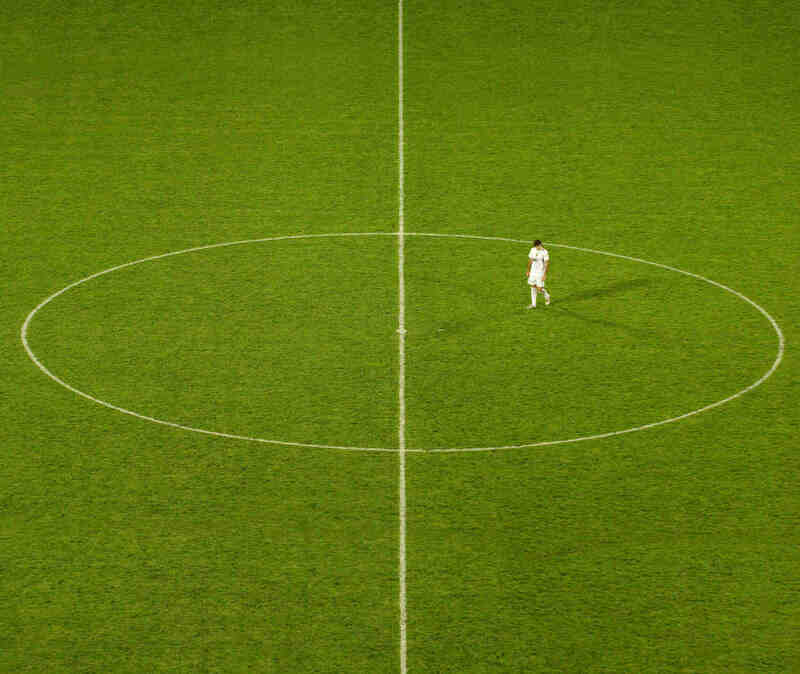 “It is absolutely holy ground! But it isn’t being treated as holy ground.” There are competing sacred geographies at work, to be sure, but even more, there are radically different notions of what we owe to the dead. Dia’s beautiful dervish-founder says the answer is simple: we owe them our love, and a sacrifice. Nothing exists apart from Allah. Later, during a break in the singing, the dervishes — who number around ten this evening — ask Fariha a few questions. One of them, a young Turkish man, asks her about the time Sheikh Muzaffer made her a Sheikha, alongside Sheikh Nur. If that all happened in 1980, he says, then this year represents the thirtieth anniversary of the founding of the order. “That’s true!” I think, “maybe even a fine hook for the essay,” and look over to see her, laughing at the thought.